This week, Hank is joined on Hank Unplugged by author, social critic, and longtime friend Os Guinness. 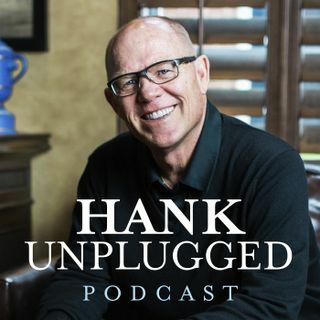 Hank has a deep respect for the intellect of Os, and this conversation does little to dissuade the listener of his enormous impact on Christian thinkers. Together they weave through many issues facing the West today while talking about how we should live in a dangerous post-truth world. Topics discussed include: Os explains how a Western culture that continues to cut our Christian roots ... See More leaves us with a “cut flower society” (5:30); fear is the predominant global emotion, but Os is optimistic because the gospel says to “have no fear” (9:00); the problem of Christians not thinking and living Christianly (11:30); the danger of a post-truth America spelling the end of freedom (19:30); issues of Christophobia and the importance of not having a victim mentality (23:30); the importance of standing for truth for an audience of One before the Lord (29:00); the unlikely alliance between the liberal left and Islam in the West (39:30); how to respond to the ABC moment we are living in [Anything But Christianity] (48:30); the need for Christians to start thinking and develop a Christian mind (53:00); what faith will replace Marxism in China? (55:00).